The Taiwan's tower, Taipei101 was the highest skyscraper for 2004 to 2010 and earned its name according to the number of it's floors. You may use her once lost, to find your way in the city, and this, days and night. She is lightened every night with a different color, and it happens that it's top is compared to Sauron's eye because of the color and brightness of it's very top. It's a place that I encourage you to visit in the late afternoon to enjoy the landscape not only during the day but also at night. In Taipei, you will find a lot of "Night markets". You will find there all the generation of Taiwaneses sharing a meal in the hot street of the capital. You will find there tons of people selling all kind of things but mainly food. I advice you to try there all the kinds of local juice they offer, the fruits (try Durian! ) but also the very famous "stinky tofu" that is trendy in Taiwan. Almost all the food is cooked in front of you and as it's the tradition in Asia, when it's not a soup, they will more likely fry your food. It's time to forget your diet efforts, it's so good ! The Dragon Boat Festival is one of the most awaited Chinese event that take place ones a year. It comes directly from a very old tradition that belongs to Chinese history. Once upon a time, there was a loved and very good king adviser. He was devoted and had great honor working in his position, the day he lost the trust of the king, he committed suicide drawing in the river. To save it's body, the locals threw rice in the river to feed the fishes that, instead of eating the body, would rather eat the rice. The objectif was to find the body the fastest possible. This tradition stayed, in this time of the year, there are around China and Taiwan Dragon Boat competition. This tradition also affect the food being eaten during the event. This food is called "Zongzi" (and I Really like it!). It's the best sticky rice based recipe to take away ! While in some other Asian countries you may have to struggle finding sport facilities. Taiwan have a good culture to practice sports, you will meet your needs. The most populars are the Badminton, Hip-Hop, Basketball, Baseball and the Soccer. You will find as well climbing walls ! You can find really good spot in Taiwan, indoor as well as outdoor and the one I love the most is near by the sea: Lóngdòng. (龍洞) It is a great place not only because of it's size, and the number of the paths you can climb on, but as well for the landscape it offers and the sea that is just waiting you to got inside and take a swim. Do not forget your clothes and your solar creme because long exposure to the sun will give serious damages to your skin. I discovered it by my expense. It's amazing how the HIP-HOP spread in Taiwan. It's even more obvious when you see the TV advertisements that promote speakers specialized in this street activity. I have seen nowhere else in the world ! In Taipei, you can find tons of dance school practicing in all the free places in the capital. We can mention the Memorial-Parcs, places protected by the rain such as the temples or even under bridges. Nothing can stop them to share and improve their skills. This now does belong to the street-art culture in Taiwan ! I have seen some of their show and i can tell you that it's very impressive ! Great organisation, choreography, scenery and disguises with thema, as well as the amazing number of club that are practising, it's crazy ! 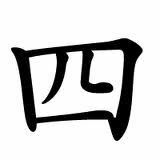 The Chinese traditional characters are a part of the language imposed in Taiwan. As China changed from traditional to simplified, there is only 3 that are still using this way of writing : Taiwan, Hong-Kong and Macao. These characters are similars to the other but have more strokes, that makes them more complicated, but it doesn't worry foreigner to learn them. With motivation and time you can reach any objectif, besides, you will be the proud ones that are able to read and write with this ancestral symboles that even Chinese people, may not even know ! Furthermore, you will be able to understand the simplified characters easily. This being said you will need to spend two good years to get a good level. But do not worry, Taiwan have very good language center integrated at the university where you will learn Mandarin with a group of 10 people essentially the Japoneses. The Bubble Tea ! Oh, again something that i discovered there ! In fact, Taiwan, just like in most part of modern Asia, have tons of little boissons shop EVERYWHERE. These people are not pretending to like the food, it's a religion ! You won't walk in a street without finding someone telling you what this or that shop is (very) famous for. The reason why I like so mich the bubble tea are the "black bubbles" that you will find inside floating slightly and somehow warmer than the cold drink. This bubble are nothing more that flour, don't ask me with it's black. It's to consomate with moderation, but you will hardly resist it, half Taiwaneses are addicted to it ! Taipei, is an example for many asian cities if you focus in the transports and the relationship with the trash. For the transport, the city not only invested in the very efficient Japanese Mass Rural Transport, but it also allow the cyclist to take over the center of the city when they installed free rental of bikes. That makes Taiwan one of the Asian capital that aren't that subject to traffic jam. In Taiwan there is also a great way to deal with the trash, every thursday in the early morning, a truck going though all the street and it's the citizen themself that are filling the truck bin. It's not only adding some neighbor dynamism but it educate and implicate the population in the recycling process ! Like in many countries the foreigners or expats have a special place in the society. a place filled by historic bias. This place change according to the country you visit and the intellect of the people you are visiting. Taiwan is no exeption, and as this country attract more expats than immigrants ( seen the difference ? ), this country still see the white foreigner as rich american that is here to profit of the country. He will be very welcomed by the girls and welcome in many event for it's relative exotism, as well as invited to leave the country as he can be seen as a parasite. Some foreigner that i have met there doesn't help it(...), disrespectful and willing to take profit of the situation as possible. They can't help it, in social media, some people are very happy to trash the image of foreigners. Let's not make any generality, if you are a good humain being, respectful and willing to learn, you will be able to enjoy their hospitality, kindness and open-mind. They will be very happy to help you discover their culture. Taipei is what you can expect from a modern capital city in Asia. Tjis city still have some deep traditional roots but for it's capital title, it is also a city open for the world. Traditional because you can still find there are still nowadays tribes that lives near by the mountains, because of the food and the Chinese characters, But also international because it get international investment, influence, import/export. Do not forget it's other name as the Chinese tiger ! The fact that it's a small island, reduce its air pollution, makes the sea closer as well as the mountain. In Taipei, the bike and the MRT are everywhere in the city center, efficient fast and cheap ! You shouldn't take pictures in cemeteries, you may disturb and take a gost in picture ! There are two types of Tofu, the normal and the stinky one. Have you tried ? You can smell it from far away ! The umbrellas are here to protect you from the sun ! While in Occidental countries you may buy cream to make your skin darker, in Asia the cream they buy makes your skin whiter. Taiwanese aren't Chinese, do not tell them the contrary. 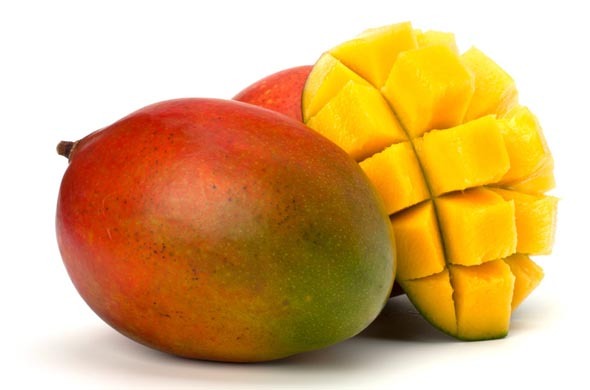 Mangos are SO TASTY there. In Taiwan buildings there is not floor number 4 because it share the name prononciation as the word "die". When you use chopsticks you should not turn your hands so your thumb is facing the floor. It gives bad luck. The Chinese burn paper money, plastic cars, clothes or food in order to send their ancestor this money or items for them to use in the other world. When a girl get married, she does not belong anymore to her mother family but to her husband's one.